How many times have you had a midnight craving but couldn’t fulfill it, or have had an emergency and found yourself out of essential supplies, or just hoped that you find an open store at an ungodly odd hour? It is for such last minute shopping needs that we needed the newly opened Anytime 24X7 Convenience Store in Ludhiana. Wait, Where is it located!? 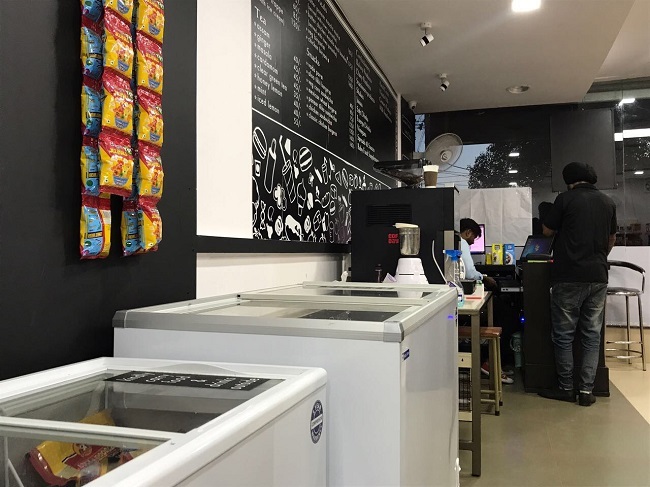 This Anytime 24X7 Convenience Store is located on Malhar Cinema Road at Kesar Complex and at a 3-minute walking distance from Ice cream Studio with their mouth-watering ice cream rolls. This is just the beginning of the list as it is located right on The Gedhi Route of Ludhiana—with most cafes, shopping complexes, and party places just around the corner. You find it right next to Squad Café once you go up a small flight of stairs, with the cash counter in full sight from its glass doors. Though it has glass exteriors, its well-lit monochromatic interiors help maintain the same ambience irrespective whether it is day or night. What can we get there? The store has all basic supplies of day-to-day utilities. Apart from providing toiletries and basic stationery, it is also a good place for fulfilling your midnight cravings. 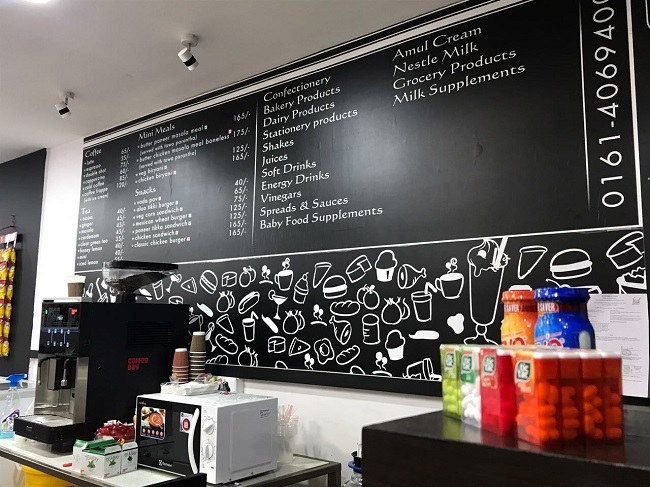 The food stock at the Anytime 24X7 Convenience Store ranges from packaged snacks, ready to eat, beverages, sandwiches etc. to fancy food like packaged Starbucks and even hot served mini meals. It also has a light CCD machine. 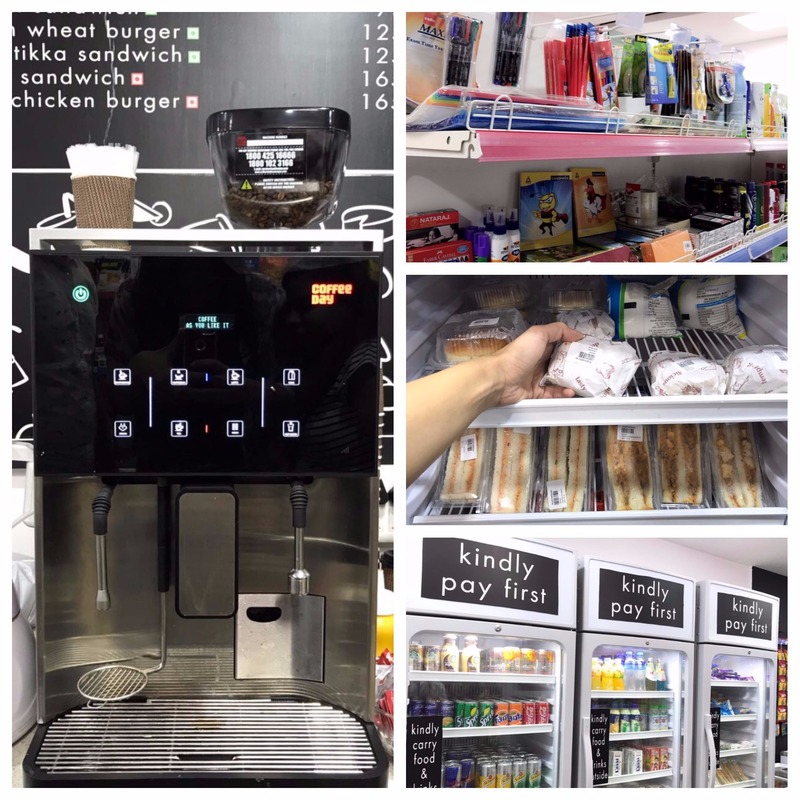 The food demand is high considering its location and around-the-clock service, and the store caters to it very well. It is always a reliable resort for you to grab a bite between your shopping spree, skip heavy meals at a party when you don’t feel like and eat light, or just nosh upon some snacks after a late hangout, becoming a constant to all your weekend plans! Members of assistance staff accompany you right from the moment you walk into the store. The assistance staff works round the clock, unlike some convenience stores that might promise 24/7 service but without personalized assistance. 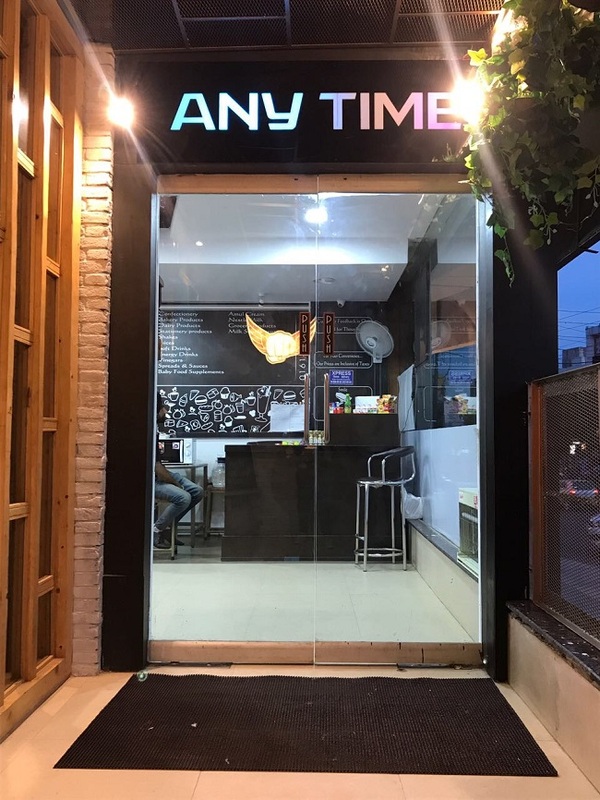 This Anytime 24X7 Convenience store is the first of its kind in Ludhiana and actually, a baby step towards the kind of 24X7 stores found in metro cities. It does not promise everything under one roof but it houses enough variety to fulfill all your all basic needs, anytime you need.